I have only just discovered the work of this interesting Russian woman artist by means of an on-line video. Her work is discussed on another blog at http://lyghtmylife.tumblr.com/post/21243308522/catonhottinroof-marie-vorobieff-marewna-marie. 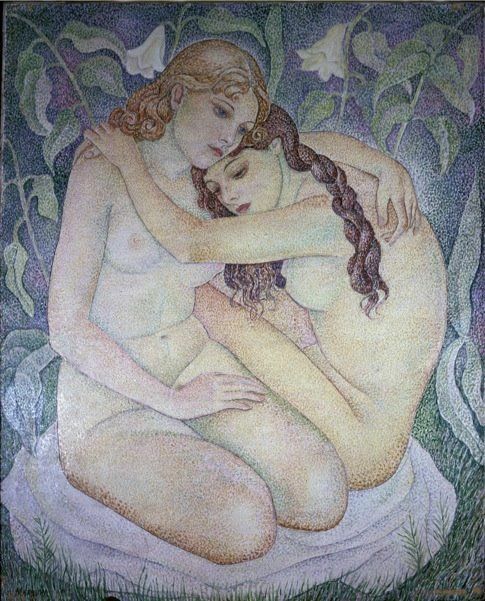 Several of her works have the classical vivacity of the pointillist technique and the influence upon her painting of Diego Garcia, her lover in Paris, and just as possibly her upon him is recognisable too. 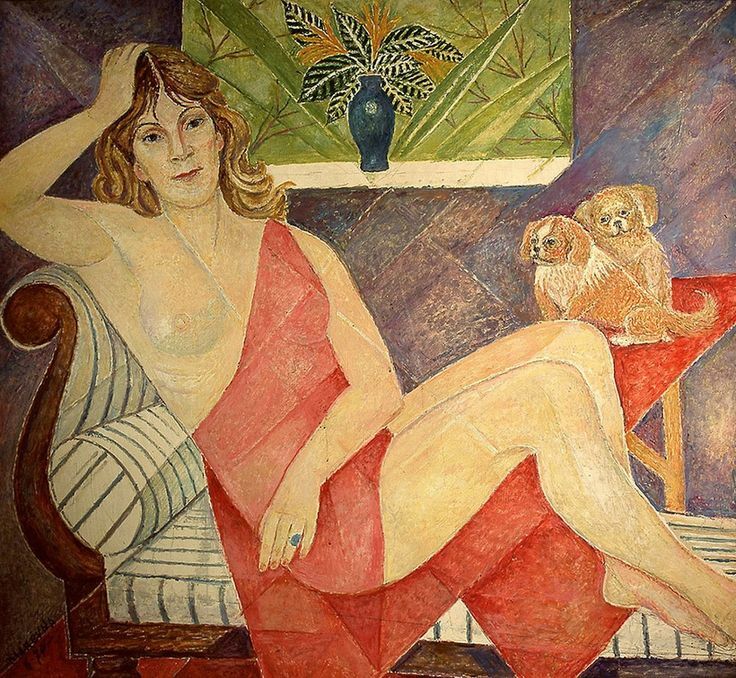 Her pictures also remind me of that of Tamara de Lempicka as well as those of Zinadia Serebriakova-mentioned in an earlier posting on this blog. Possibly her most well known work is the portrait of Chagall completed in 1956. She was herself painted by Amedeo Modigliani in 1919.